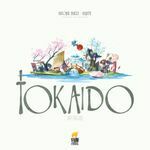 This is the Geeklist for my video reviews and previews of board games. If you like my videos, please feel free to like them on YouTube, or subscribe to my channel to stay in the loop with all the nerdy stuff I produce. This is the first game I ever did an official video review for. Officially! Here's the link to that video on BGG! I met Liz at PAX Prime 2013 and she was kind enough to give me a breakdown and quick demo of the game! The video for that is available here on Youtube, or here on BGG. I had the honor of interviewing Chris Darden, creator of Dungeon Roll, at GenCon 2013. 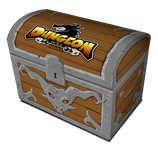 He gave me some info on how he came up with the game, how it came about with Tasty Minstrel Games, and what's coming up next for Dungeon Roll! You can watch the video here on YouTube, or here on BGG. Seth Jaffee of Tasty Minstrel Games was kind enough to give me a sneak preview of the upcoming Eminent Domain: Escalation expansion at GenCon 2013. You can watch the video on YouTube here, or on BGG here. You can watch the video here on BGG or here on YouTube. You can watch the video on BGG here or on YouTube here! Veritas is an area control game from Cheapass Games that has a whole lot of strategy for a very tiny price tag. In this week's video, I talk about the game while wander – you guessed it – an airport. Links! Watch the video on BGG or watch it on YouTube! If you like my reviews, subscribe to my YouTube channel to make sure you don't miss out on any of the other videos I post, including interviews, antics, and whatever else I can think of. Firewall: it's an area-control dice game for 2 to 4 players that's about hacking the planet, man! Will be the most l33t of your friends? Check out the Kickstarter http://kck.st/1gHJRYm! You can see the video on BGG here or on YouTube here. Nothing like running a half marathon to get you thinking about Dave Chalker's Get Bit! Check out the review here on BGG or here on YouTube! 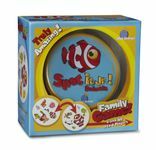 Looking for a cheap and light dexterity game to add to your collection? This week I walk about the airport and discuss Suspend, from Melissa and Doug. This week's video is about the game that started off my love for gaming: Monopoly. SPOILERS: This video isn't really about Monopoly. You can watch it here on the geek or here on YouTube. I introduced my niece to her first ever board game! Spot It Jr! We had to modify the rules slightly (she's only 2), but she loves it! 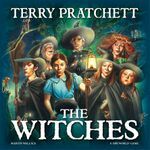 You can watch the review here on BGG or here on YouTube. I take it to the mountain as I look at the Ascension Apprentice Pack. Watch the video here on BGG or here on YouTube. Nothing says gaming with family like bloody knuckles. 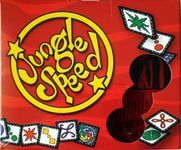 This post-holiday season, I review Jungle Speed! 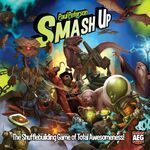 Checkout the BGG here and the YouTube version here. This week I wrap up my holiday season in airports by looking at Lords of Waterdeep, both the physical and digital version of the game. Check it out on BGG here or YouTube here. 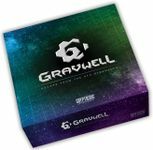 Gravwell!! A race for the exit where gravity isn't working. Watch it on BGG here and YouTube here. I take to the slopes this week to prove just how true it is that you can play oddball Aeronauts anywhere. 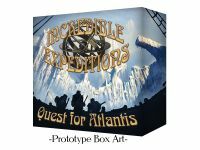 This fantastic little game is coming to a Kickstarter near you and you can bet I'll be in line to get a copy! Watch the video here on BGG and here on YouTube. 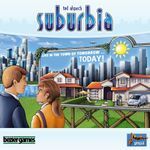 I snuck my camera into IKEA and reviewed the best urban-themed game on the market: Suburbia! Watch it on BGG here or YouTube here! I set a subscriber goal and promised to make a drunk video when I hit it. 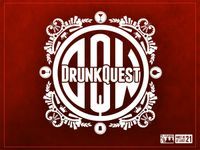 Well I hit it, and what better game to review drunk than DrunkQuest? PSst! There's a give away announced at the end Psssst! The giveaway has ended! 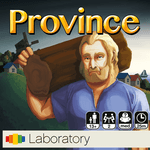 I previewed and reviewed Province, the micro Euro game that was funding through Kickstarter! 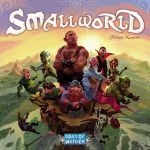 I reviewed Small World while lost in a Redwood forest (not really). To watch on BGG, to watch on YouTube.. you decide! There's been a theft!! Good thing I've been playing lots of Sherlock Holmes Consulting Detective. Watch the mystery unravel on BGG here or YouTube here. It's a bird! It's a plane! 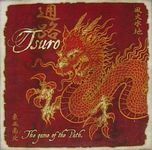 It's Tsuro! Watch on YouTube or BGG. AIRPORTS MAKE TIFFANY ANGRY. TIFFANY SMASH UP!!!! Watch on YouTube here or BGG here. 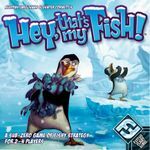 When in a large fishing store, why not review a game that has fish in it? Watch it here on BGG or here on YouTube.